Present: There is an imprint of LP Hong on the back of the amulet. 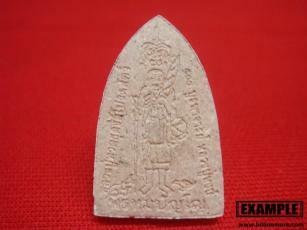 Ceremony: This amulet was blessed by a monk who is a close disciple of LP Hong at Wat Petchburi. Information: Phra Thang Sam Jang or Xuanzang is a Chinese monk, scholar, traveller, and translator who described the interaction between Chinese Buddhism and Indian Buddhism. Power: This amulet with image of Xuanzang and LP Hong will bring worshiper good luck, wealth and safety from dangers and accidents. LP Hong was a well-known venerated monk in Thailand. He was born on Thursday the 24th March B.E. 2460 (C.E. 1917) in Surin Province. He got ordained as a novice at the age of 18. 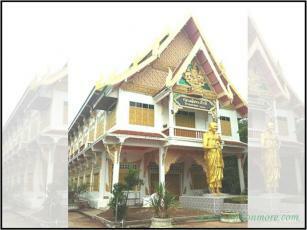 When he was 20, he got ordained as a monk at Wat Petchburi, Tumbon Toongmon, Amphur Prasart, Surin Province. After 3 months of ordination, LP Hong went on a pilgrimage in Cambodia. In Cambodia, LP Hong met many guru masters and studied magic with them. He spent 30 years on pilgrimage in Cambodia. LP Hong was a good monk and a magical expert. LP Hong calmly passed away on 5 March 2014 C.E. at age 97. “Kathina” is a Buddhist festival which comes at the end of Vassa, the three-month rainy season retreat for Theravada Buddhists. The season during which a monastery may hold a 'Kathina' festival is one month long, beginning after the full moon of the eleventh month in the lunar calendar (usually in October). It is a time of giving, for the laity to express gratitude to monks. Lay Buddhists bring donation to temples, especially new robes for the monks. “PhaPa” (frequent: PhaPa Samakki) is a kind of Kathina that has no a specific date to do unlike Kathina. People can do PhaPa in every season of a year. Doing PhaPa is mainly for giving new robes for monks and making a donation for the temples. 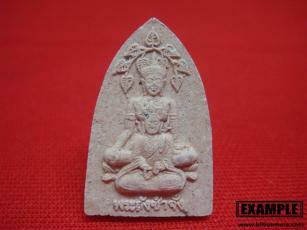 Doing Kathina and doing PhaPa can support Buddhism. 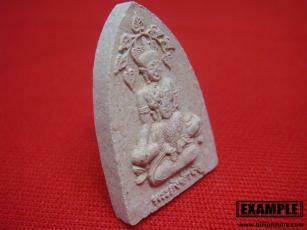 The merit of doing Kathina and doing PhaPa will bring the doer auspiciousness and prosperity. People believe when Kathina or PhaPa doer dies, he or she will go to the heaven and when they are born, they will be in the rich & good family, good-looking and a beloved person of people as well as have a lot of money and properties.